The Mitsubishi ASX car is Mitsubishi’s belated response to the rapid growth in demand for all-terrain vehicles with off-road appearance. However, sporty appearance, good handling, three engine options, a large number of options make Mitsubishi ASX an interesting car. Mitsubishi ASX was created in order to create competition for Nissan Qashqai. 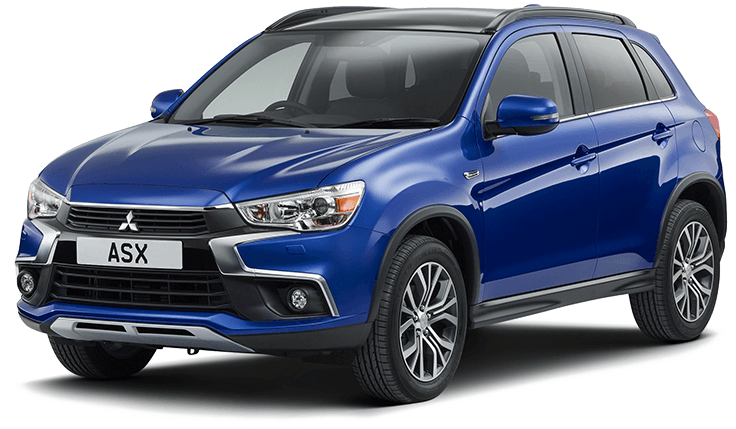 ASX has gained immense popularity, especially among Mitsubishi owners, who previously lacked a high ground clearance or all-wheel drive. Mitsubishi engineers correctly interpreted the expectations of consumers. Front or all-wheel drive, clearance in 195 mm, three engine options: 1.6-liter with a capacity of 117 liters. with., 1,8-liter with a capacity of 140 liters. from. and 2.0-liter with a capacity of 150 liters. from. The first two motors are available only with front-wheel drive, and the third – with four-wheel drive. The basic equipment of the Mitsubishi ASX includes a 1.6-liter engine, a manual transmission, sixteen-inch steel wheels, two front airbags, heated heated electric mirrors, front sports seats, air conditioning, an onboard computer, a CD and MP3 player, a radio , six speakers, front and rear windows, heated front seats, an immobilizer and remote control of the central lock. Up to 100 km / h car with a 1.6-liter engine accelerates in 11.4 seconds, if this is not enough, then it is worth paying attention to the 2.0-liter version, after all, the 1.8-liter engine accelerates the car in 13.1 seconds because of the transmission with a stepless automatic. The 2.0-liter version of the Mitsubishi ASX is offered with a “mechanics” and a variator, its acceleration to a hundred occurs in 10 seconds. The top equipment of the car has seventeen-inch wheels, a leather interior, a refrigerator compartment, a premium audio system, parking sensors and much more. In the maximum configuration, the car is equipped with a panoramic roof with an LED suspension. The repair manual contains: a detailed maintenance manual (including wiring diagrams) and the repair of the Mitsubishi ASX from 2011 onwards.